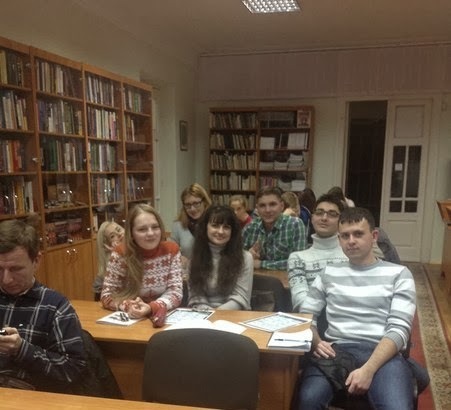 On January 29th there was a meeting of Business English Club at the Window on America Center Ternopil. The club was led by PC volunteer Matt Turner. 19 participants worked on language at work, especially – first and second conditionals. They did exercises and played interesting decision game in small groups. Right after Business English Club Matt started TOEFL Test Takers Club. There were 18 participants and they practiced listening section of TOEFL iBt.